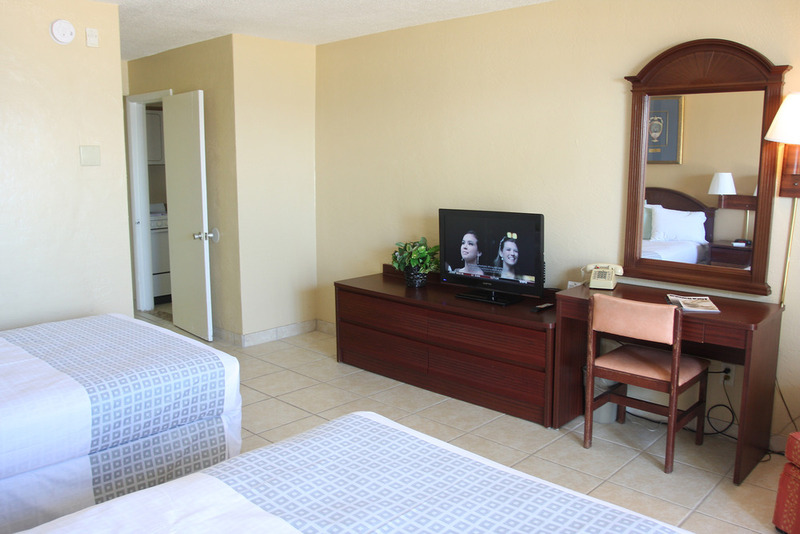 Our Lovely Standard inside rooms have two double beds, a 32 inch flat screen T.V., clock radio, a beverage size refrigerator and include complimentary breakfast and free in room wi-fi. 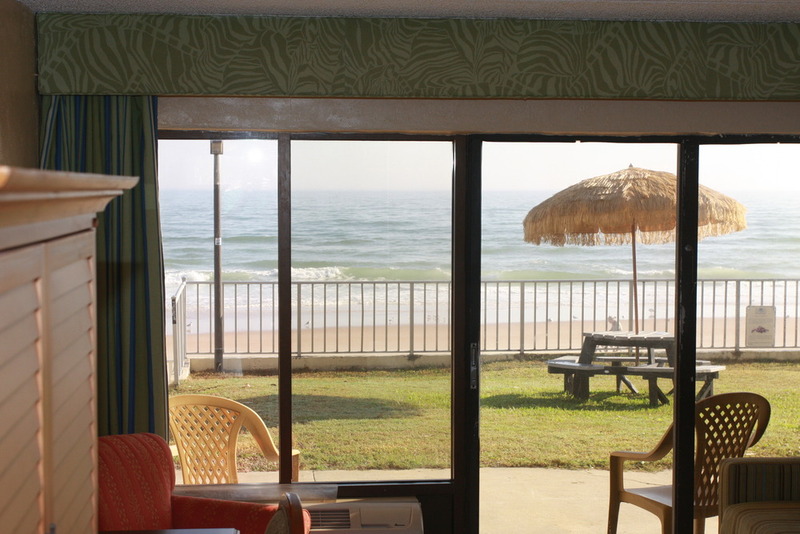 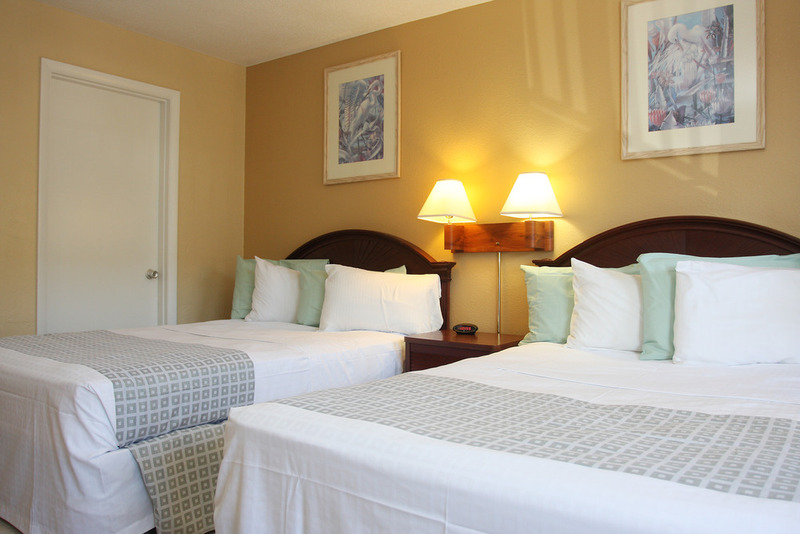 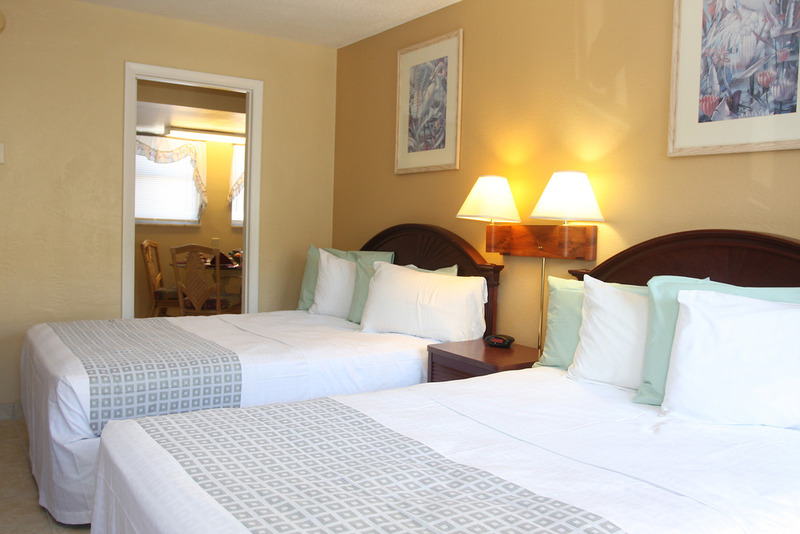 From this economical room choice there is a city view and no balcony, however the ocean front amenities are just a few steps away. 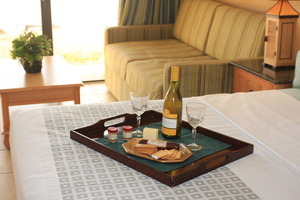 Rates are not loaded. 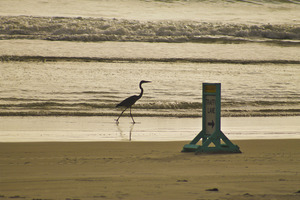 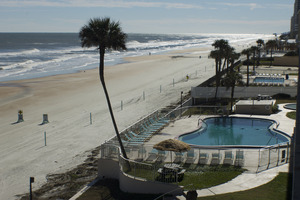 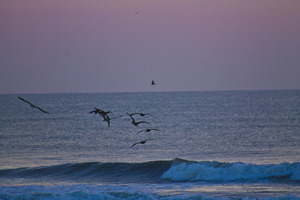 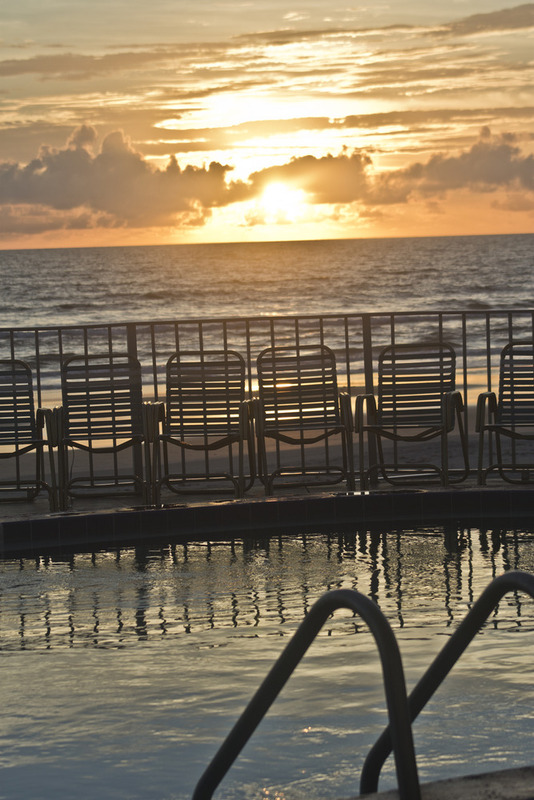 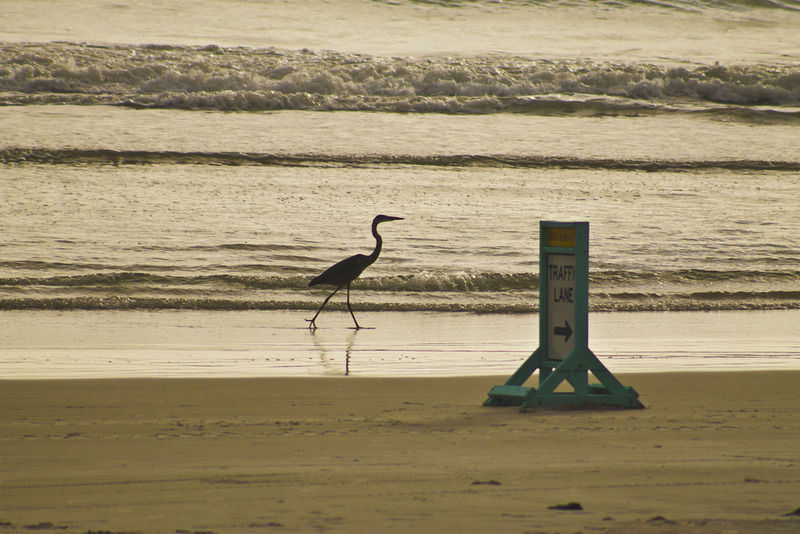 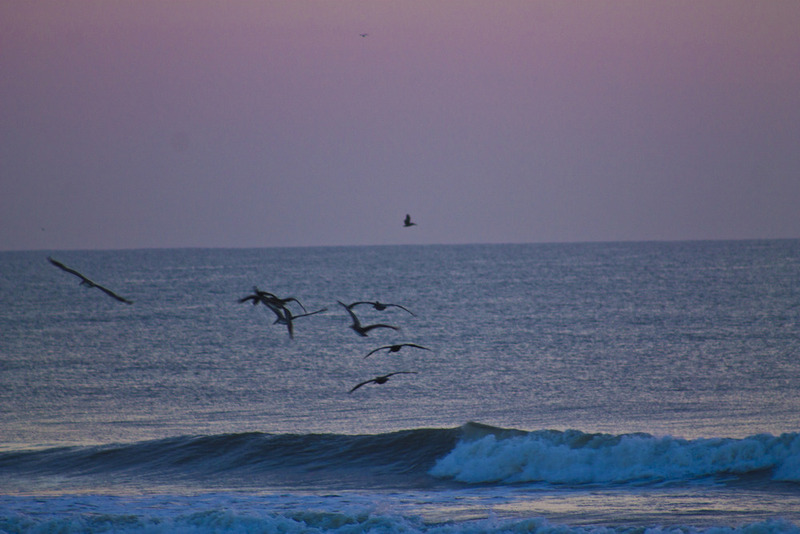 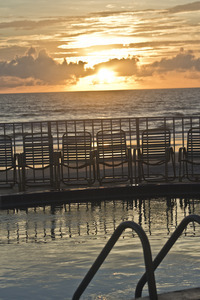 Please call 386-677-8060 to inquire about rates and availability. 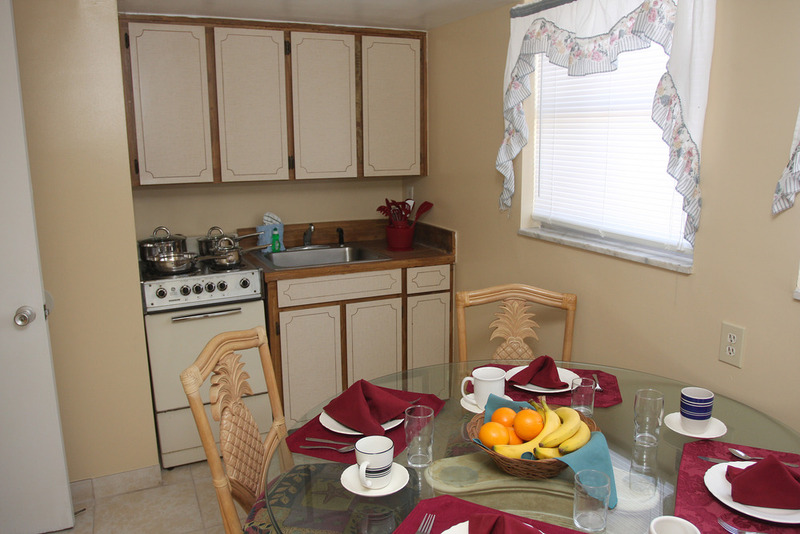 Unit features two double beds, a fully-equipped kitchen with refrigerator, stove, microwave, coffee maker, and all utensils. 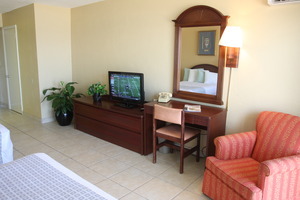 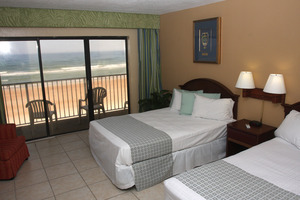 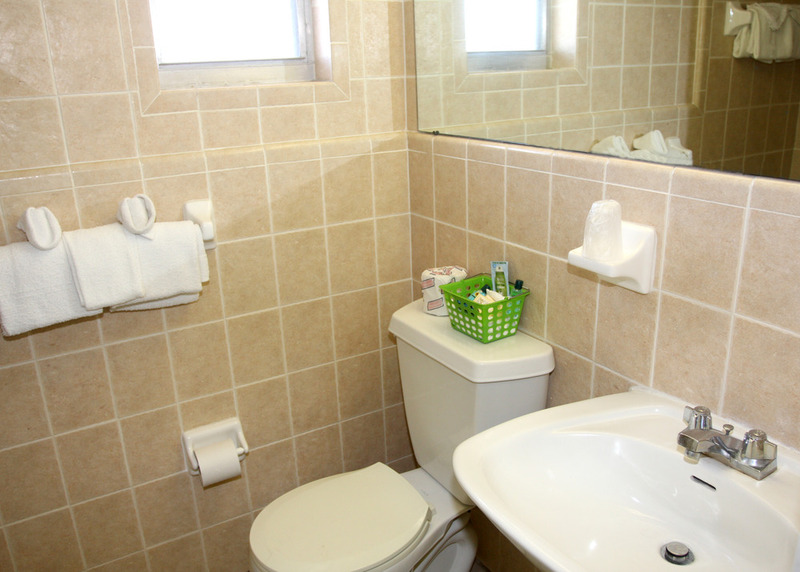 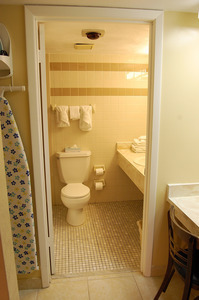 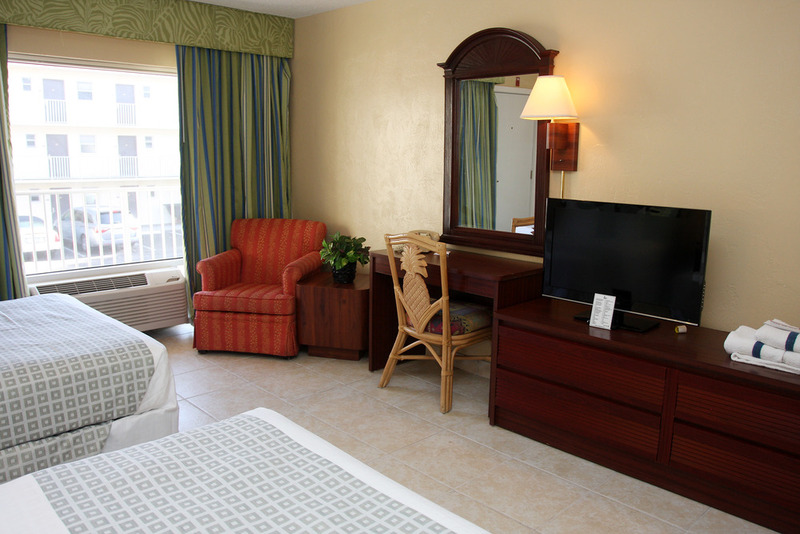 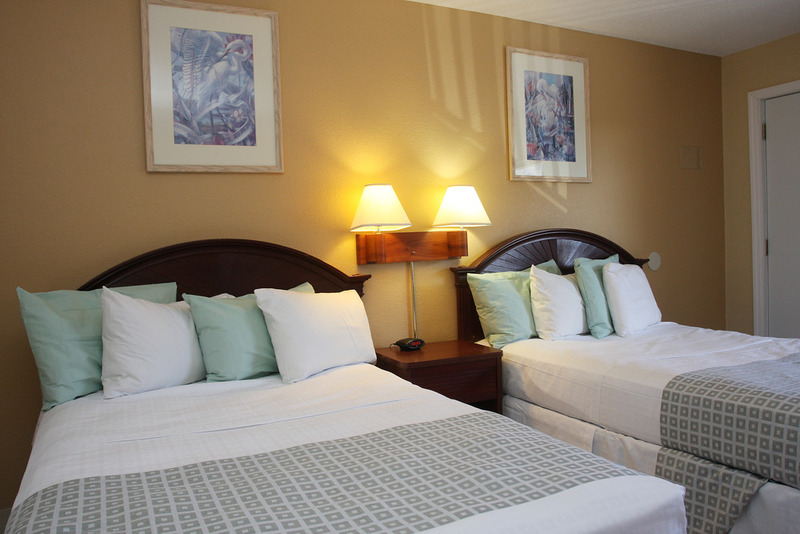 Other amenities include a 32 inch flat screen television, radio alarm clock, and free in-room wireless internet. Unit features a King size bed with comfortable bedding, a fully-equipped kitchen with refrigerator, stove, microwave, coffee maker, and all utensils. Other amenities include a 32 inch flat screen television, radio alarm clock, free local calls and complimentary in-room wi-fi. 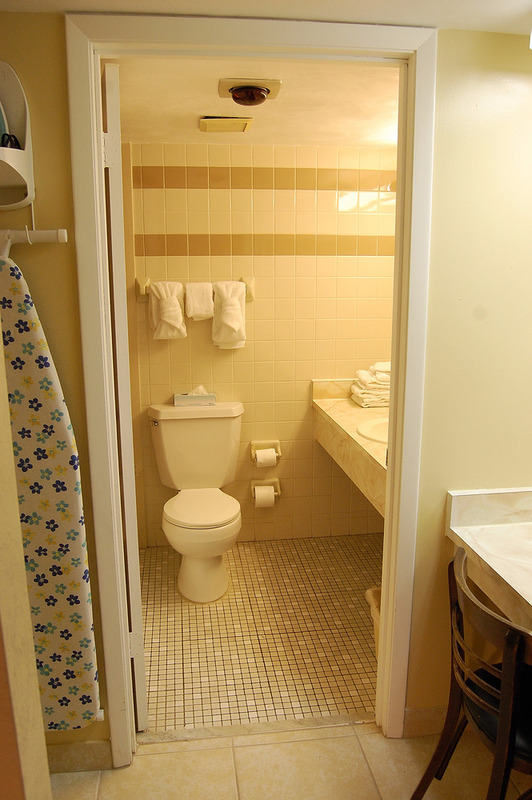 This unit has a City view. Standard King Ocean View Room has one king size bed with deluxe bedding, one pull-out sofa bed a 32 inch flat screen T.V., clock radio, a beverage size refrigerator and includes complimentary continental breakfast and free in room wi-fi. 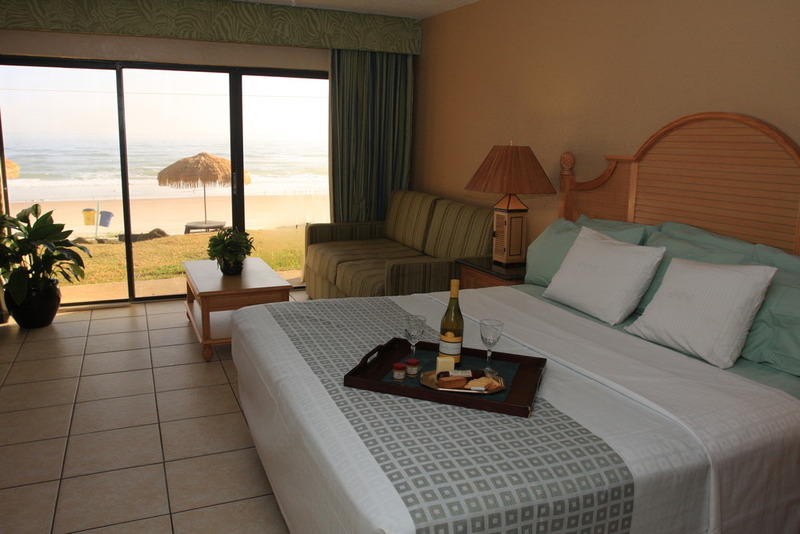 Double Ocean View Room includes a private balcony or patio, 2 double beds, beverage size refrigerator, in room WI-Fi and complimentary continental breakfast. 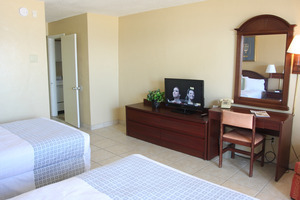 Double Ocean View Efficiency guest room includes a private balcony or patio, 2 double beds, 32 inch flat screen TV, in room WI-FI and continental breakfast. 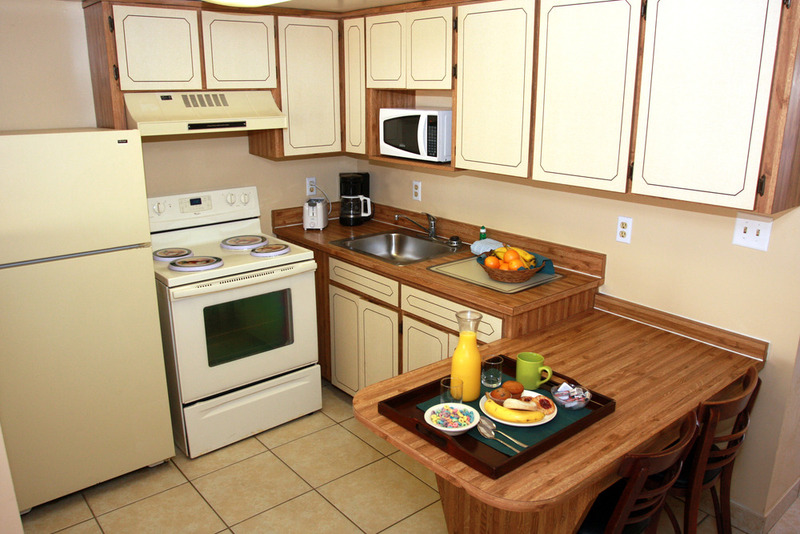 Efficiency is complete with a sink, microwave, two burner hot plate and refrigerator. 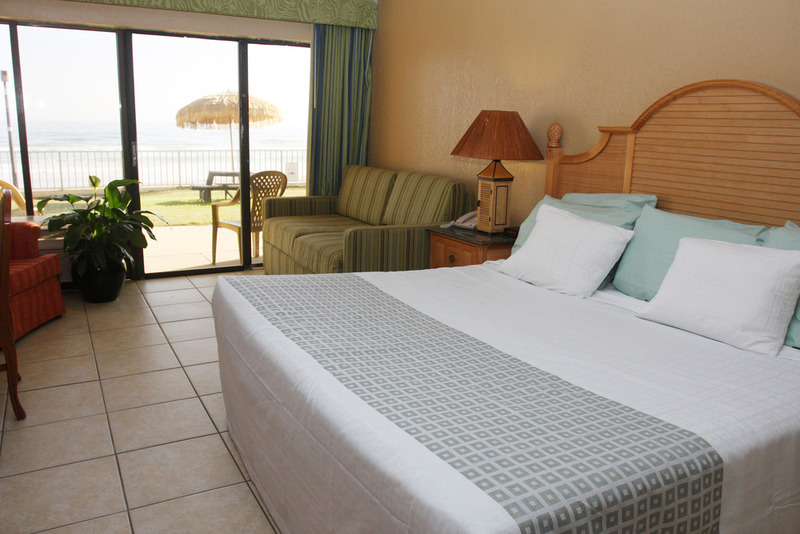 King Ocean View Efficiency has a private balcony or patio, one king size bed and one sofa pull-out bed. Efficiency is complete with a sink, microwave, 2 burner hot plate and a refrigerator. 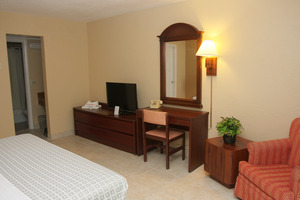 Includes in room WI-FI and complimentary continental breakfast. 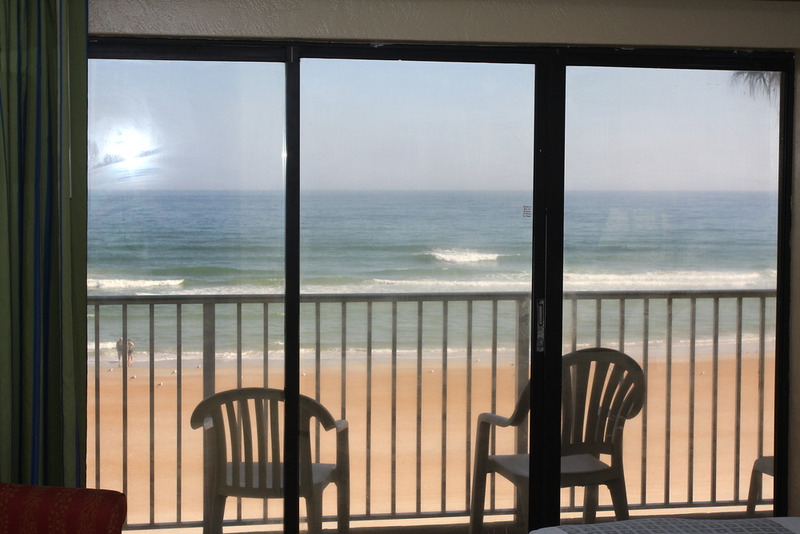 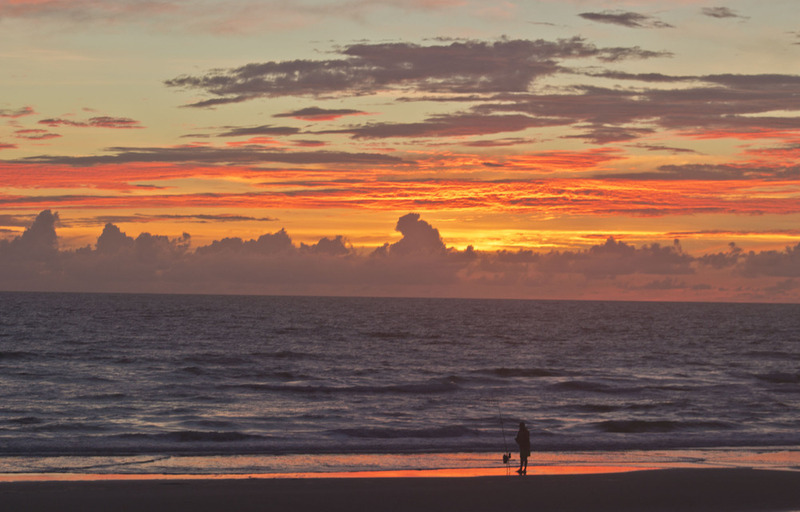 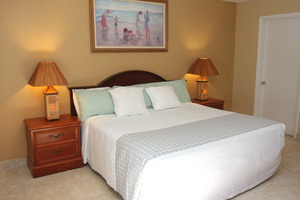 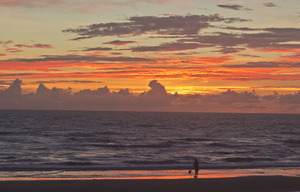 Oceanfront Double has 2 double beds, clock radio, 32 inch flat screen television, private balcony, beverage size refrigerator and front row seats to fantastic sunrises over the Atlantic Ocean. 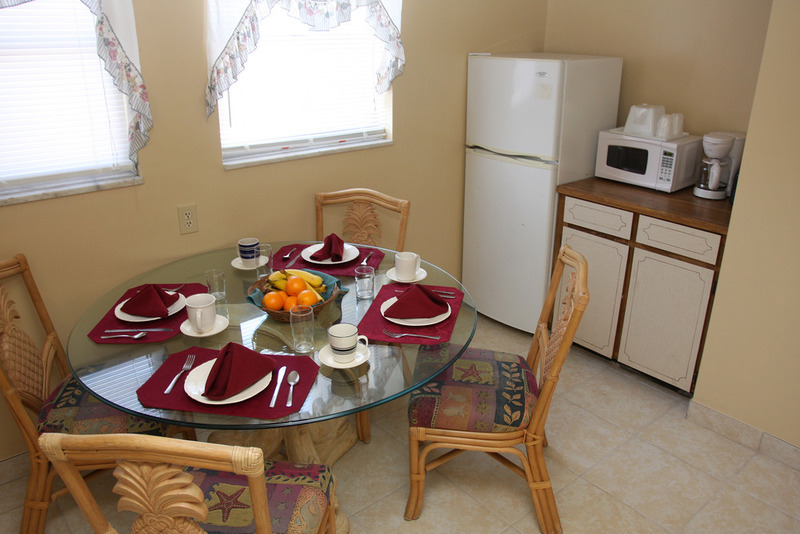 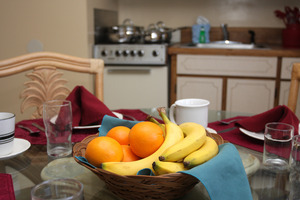 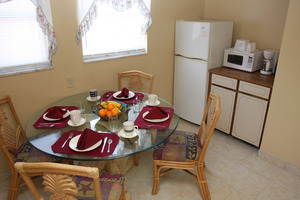 Includes Complimentary Continental Breakfast and Free in room Wi-fi. 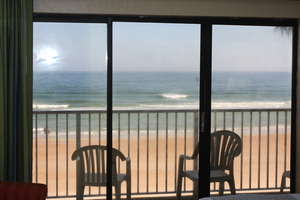 King Oceanfront Room accommodations: 1 king size bed with comfortable bedding, 1 double sofa bed, beverage size refrigerator, 32 inch flat screen television, in-room wi-fi, digital safe, private balcony with a direct ocean view. One King size bed, double pull out sofa, digital safe, 32 inch flat screen T.V., free wi-fi, fully equipped kitchen and a private balcony with spectacular views of the Atlantic Ocean.